With a potent blend of high-tech natural ingredients including a broad range of vitamins and essential skin nutrients, Oskia’s Renaissance Cleansing Gel is the original (and best) gel cleanser of its ilk; totally unique, it helps to strengthen, brighten and revitalise skin whilst eliminating every last speck of residual everyday grime. Lactobacillus (Pumpkin Enzyme) purges pores and dissolves the bonds that bind dead cells to skin’s surface; Vitamin A Palmitate helps improve the appearance of sun damaged, dry and mature skin by gently resurfacing and promoting elasticity; Vitamins C and E are known for their restorative properties and work to fortify and protect against free radical and environmental attack; Starflower Oil (a potent source of Omega 6), Magnesium and Vitamins B2 and C promote firmness while Oskia’s signature MSM (the most bio-available form of Sulphur) detoxifies, soothes and reduces inflammation. SOLD. Massage onto dry skin, add a little water to emulsify and remove with warm water or damp muslin cloth – this product is a genuine pleasure to use. I was very skeptical about trying a more “oil based cleanser” having battled with breakouts and under skin bumps for ages- I have oily/ combination skin. I was worried the cleanser would end up clogging my pore. Could not have been more wrong. I use this in the morning and it cleans my face without making it oily and leaving it moisturised. I really really love it and will definitely be purchasing again. This is one of the best cleansing gels I have ever used. The texture is amazing and it removes make up brilliantly it also leaves my skin with a lovely glow after I’ve removed it with a wet cloth. I will happily re-purchase this. This product has changed my skin for the better ! I think it’s now become one of my holy grail products. It removes my makeup so easily and makes my skin feel so soft. My skin colour appears more even and less agitated as it’s sensitive. You don’t need to use much of the gel either. I was very pleased to finish this. I didn’t find this great at removing make up and I did find it drying for dry and dehydrated skin. It is quite a light weight cleanser and for me, it just didn’t deliver. It is also very heavily scented so ensure that you don’t find the smell off putting before investing. I have used up over 6 xl-bottles of this cleanser. I use it as a 2nd cleanse at night and as a morning cleanser. I have oily, sensitive skin that gets congested easily. It’s the only balm cleanser that comes right of with warm water and/or flannel, leaves my skin super smooth and plumps up my skin. Will never be without it. Literally one of the best I’ve ever used. I repurchase this time and time again - my skin is dehydrated and can get flaky and dull and this cleanser refreshes and brightens up my skin. I use it to second cleanse or first cleanse in the morning. One of my top five! I got this cleanser in a Beauty Box and was nicely surprised - this unique formula goes on as a gel (can use as first or second cleanse, but expensive to use as a makeup remover so I use as a second cleanse) to a slight oily texture. Leaves a nice glow and did not break out my blemish-prone skin. Highly recommend! This is my 3rd bottle and I absolutely love this product. I love the smell and the texture of this cleanser. Skin feels great after using this. I purchased the mask from Oskia and I got a sample of this cleanser. I was really excited to try the products since they got such great reviews. When I got them I used the cleanser to clean my face and right after I put the mask on. (I washed it off and continued my daily routine) After few hours, I started to notice that I have small bumps on my skin. So I thought it may be from one of the products, so I used them separately. After I used the cleanser the second time, the bumps appeared again. I’m still using the mask, I think it’s great, but unfortunately the cleanser is not for me. I liked this cleanser but I didn't notice a difference with my skin, good or bad. It's a very good second cleaner if you have very oily skin and use a very stripping cleanser first. It is an oil and it emulsifies with water. When you rinse it there is a very moisturizing and soft residue left on the skin which keeps you hydrated. I use this as a second cleanse every evening and my first cleanse in a morning. It's absolute perfection!! Won't be buying the 100ml version again, will keep buying the supersize. So so good. I've tried so many cleansers and this honestly is one of the best I've tried (along with the moringa cleansing balm). It leaves skin soft and comfortable whilst also brightening and evening skin tone. If you're curious then buy it. Lovely and gentle on my skin. I love using this cleanser - the smell is amazing and the colour is so beautiful. On top of that, it cleanses the skin gently and leaving it hydrated. I use this as a second cleanser. I will never be without this product again. It is the dreamiest cleanser, it smells great, the texture is wonderful and it does the job. Leaves my dehydrated skin so plump and happy. I love this cleanser, got it on a whim but now I use it every day and remove gently with a face cloth. I have sensitive skin and it doesn't irritate, removes makeup and leaves my skin feeling soft not stripped. Plus the smell is delicious! I decided to purchase this cleanser after noticing the effects rose products have on my skin. I use this cleansing gel after micellar water and its lovely gel to oil formula effectively cleanses my skin without stripping it. After months of use I have noticed my skin looks brighter and more radiant, plus I'm getting fewer breakouts. The rosy scent and pink colour of this cleanser makes it a joy to use! My skin type is dry sensitive with oily T-zone. I mainly purchase skin care product that targets clogged pores, blemishes. Tone evening, because sensitivity creates almost like color patches. This product is too oily for my taste, but then recently I have discovered that oil based products don't work with my face. I don't really feel like it cleanses my face, also, the effort I take to remove it is exhausting to my skin, so I discontinued using it. I would have to give it an extra star because it wasn't impressive, but then again it didn't harm my face or make it feel dry, it felt soft actually. After hearing so many amazing reviews on this, and seeing how lovely pumpkin/pink it looked inside, I had to try this. And I haven't had a single regret. This is my go-to AM cleanser if I want to look plump, bright and glowy, but I also love it as a second PM cleanser because it's very effective on dirt and makeup as well. Definitely repurchasing! I really don't blame the cult for being culty about this, because I'm never, ever, ever gonna be without it from now on. I really love the packaging/smell/ texture of this cleanser. It goes on as an oil/gel and emulsifies and feel truly luxurious. I didn't believe the hype about the 'glow' but its true. Definitely one to invest in. I've got sensitive/acneic skin, I don't know why but after washing my face with this cleanser, my skin got so irritated around my mouth area. I spread this all over my face when I have make up on. It cleans from deep inside then I follow to remove the dirt with a makeup remover wipes. It gives me a clean glowing healthier skin. This is the product that got me into an expensive, but luxurious addiction to cleansers! I ordered this because someone recommended it to me, and it has become my fave cleanser. It's just such a gentle, yet effective and versatile cleanser. I have very sensitive skin, but I'm also prone to oilyness and acne, so I want my skin care products to do it all - and this cleanser truly lives up to the hype. Ordering the supersize next time! I'm always on a hunt for a good cleanser. I wear makeup on a daily basis and due to hectic schedule I hate complicated night time routines. I'm from Malaysia and we can't get Oskia products here in Malaysia. This cleanser is a great find as it multitasks. I don't particularly use a muslin cloth with it. I wash it off with water and I skip night cream ever since I started using it. It's very moisturizing. Great texture, melts beautifully into skin and with gentle massaging motions, removes makeup and daily grime. In the evening, I use two small pumps which covers my face and neck easily. I remove with a warm muslin cloth. I only need one small pump if using in the morning. (I use a separate eye makeup remover). But perfectly soft, clean and dewy skin every time. Staple cleanser for me these days and it does not irritate my sensitive, normal to combination skin. I agree with Kat's review above - it is pretty near impossible to tell how much product has been used/is left. A tube would be much more efficient, a la Perfect Cleanser. Didn't realise how much I like this until it was gone! Definitely missing it! I'm crazy about the cleaners in balm, I've tried Emma Hardie's, Omorovizca, Aurelia ... they're all very good but I'll stick with this one from Oskia and with a different cleanser. For my 40 year old skin is perfect as it removes all makeup including waterproof and leaves it luminous and soft. A 5*. If I had just one all-purpose cleanser - this would be it. I can use it as a PM cleanser just fine if I need to. It is a perfect product. I always have one as a back-up. By far the best cleanser I've ever used, I love how it melts away make-up leaving my skin feeling completely clean and soft. I tend to go for drugstore products for the rest of my skincare but this is definitely worth the money, my skin has never been clearer than when I'm using this. I love the smell! This is the best smelling cleanser I have ever tried. It is suitable for all skin types and ages - all the girls in my family use it as a morning cleanser while we use the heavier Oskia Perfect cleanser in the evening. I tried this cleanser after hearing masses of rave reviews online. The truth is I just didn't understand the hype. The product is an ok cleanser but I didn't notice any major differences from my other cleanser that is £10 cheaper. I have dry and sensitive skin that didn't react or get drier but I didn't see enough of a change to pay for a product that cost so much more. Can't live without this, tried so many cleansers for my sensitive combination skin. This one is fantastic, really love, easy to use and best of all it works. Never irritates my skin or dries it out. Love this cleanser. It's my got-to, together with the Emma Hardie cleansing balm. But please Oskia: make a clear strip in the packaging so we can see when we run out! I very rarely leave reviews but I am smitten with this product! I have tried every cleanser on the planet I'm sure but this one is the BEST, I actually look forward to using this it smells divine and really gets rid of every last trace of make up and daily grime. Buy and enjoy! I love this cleanser. It melts into the skin, really refreshes & reboosts my combination skin. Always left with a soft glow after use. Can be used as a quick cleanse, a deep cleanse mask or for massaging. Smells lovely too! I absolutely adore this cleanser. I recommend it to everyone! I will say the smell can be a tiny bit overbearing, specially for those who aren't fans of pumpkin-ish scents, but I reckon once you realise what it does to your skin you will completely move past it. I use it every morning and night with my Clarisonic Aria. Will never buy another cleanser! I use this as a make up remover and a second cleanser! It is just a lovely product and is perfect for my sensitive/oily skin. I've found cleansers can sometimes leave a film on my skin, but this one completely removes all traces of make up and leaves my skin feeling clean, soft and hydrated! It's smell is also very subtle and I just cannot get enough of this cleanser. I've repurchased a number of times & always go back to this one. The bottle lasts ages and it dispenses the perfect amount in one pump. BUT unfortunately it clogged my pores and caused a bad breakout. It does smell really nice however, I didn't enjoy the jelly consistency at all. To summarize, this product is not for me and I do not understand all this hype about it. Beautiful cleanser packed full of wonderful ingredients, gel/balm/oil melts beautifully into the skin, gives the skin a lovely glow :) suitable for even oily skin! I tried this a few years ago (when it was in the old bottle), really liked it but it did sting my eyes a bit so didn't repurchase. Then I brought the Anna and Lily Cult Beauty Box and gave it another go and wow it's lovely and no more eye stinging. It's texture is beautiful for giving a nice facial massage. It makes my face feel so smooth as well. This is very good cleaner for my dry skin. It encourages a timely and indulgent massage and the aroma is relaxing and luxuriant. It leaves skin clean and comfortable and I will certainly be buying this for a long time to come after trying many, many such cleansers. 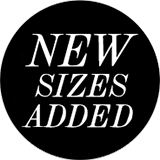 I do however find CB's minimal order for free P&P prohibitive, I have asked CB to review or lower their P&P but so far they haven't. I bought this cleanser on a bit of a whim and am so happy I did. It’s a gel that turns into an oil as soon as you start massaging it into your skin and leaves my skin clean but not stripped. I haven’t tried it to remove my make-up because frankly it’s too expensive for that! I will happily re-purchase once I run out. I have very sensitive combination skin (very oily T-zone) with rosacea. What do I say? My Holy Grail! Seriously. Bought this and Oskia Perfect Cleanser after finishing a bottle of Aesop Parsley Seed Facial Cleansing Oil as I wanted an oil based cleanser with a bit more depth and texture to it than the Aesop oil, but couldn't choose between the two products! A month in and buying both was a great choice - this is perfect for a light morning wash and leaves my skin soft and smooth (even using a muslin cloth). Compared to the Perfect Cleanser it has a thinner consistency and doesn't feel like it has the same cleansing power (though it does a good job of removing the remnants of my waterproof eyeliner and mascara), but is perfect for a quick facial massage and does not cause my rosacea to flare up. A nice product to have to hand rather than an essential. I love that product so much, especially at the morning. My skin is oily with breakouts and its a perfect match for me.I am a regular user of all possible oils, gels and makeup removers. But this particular product blows my mind away. This gel consistency leaves your skin soft and silky plus it removes your makeup, oils and dirt from the whole day. From my point of view it is very affordable product, in comparison with all variety of skin care on the market. I will buy it again and advise you to try if you are new to this brand. I purchased this cleanser after hearing many beauty bloggers raving about it. Boy, was I glad I added it to my basket, I'm utterly in love with this cleanser and love using it every evening as a second cleanse. The only issue I have is that I wish it had a clear section on the side so I could see how much I've got left - eek! I have typical early twenties skin, normal on my cheeks and a pretty oily t-zone, I never used oily products in my teens but now that I'm a bit older and really into my skincare, this is by far the best cleanser I've ver used, literally couldn't be without it. Makes my skin feel so soft and amazing. To be honest, I used it only twice as a sample I got from Cult Beauty. But I'm totally in love. It is gorgeous! It reminds me of the Clarins Moringa cleansing gel where oil emulsifies into milk as well. But I prefer Oskia because the smell is very relaxing and I think you need less product to cleanse your skin. I think I need to order the full size. This is a truly wonderful cleanser. I have my back up waiting to go. I use it for my second cleanse rather than to remove makeup and tend to leave it on whilst brushing my teeth to get the full force of the potent ingredients. It's nourishing, smoothing and hydrating. Smells amazing too! I just love this cleanser. The smell, the texture, the effects. It cleanses very thoroughly without stripping the skin; it's gentle and pleasant to use. I am never without this. It's brilliant when used with the Foreo Luna. I repurchased this item 4 times now, and I'm totally obsessed with it. The texture is perfect, the smell is divine and it leaves my skin soft and glowy. I have normal but blemish prone skin, and I suffered from really bad blemishes and pimples on my forehead: this is the only cleanser that works for me, and I tried a lot of them in the last 2 years. Thank you Oskia! :) The only thing I would change is the packaging, I'd prefer to see when the product is rUnning out! Contrary to VDM's review, I'd say that this cleanser is perfect for the summer months because of its light texture. Although it claims to be a gel, it is pretty rich, though not as rich as Emma Hardie's offering. It smells divine and has enough slip that it can be used to do an obligatory daily facial massage and leave you feeling like you've just been to the spa. With cleansers, texture is key as some can be difficult to massage your face with. The results aren't transformative, which is why I haven't given it the full 5 stars, but this used with my muslin cloth (or trusty John Lewis flannel!) keeps whiteheads and larger spots at bay; I certainly notice a difference when I switch to something else. I've repurchased this a few times, which is a testament of my loyalty to the stuff. I am a huge fan of everything Oskia, they have yet to create a product that gets anything less than a 5 from me. This addition to the Renaissance range has the same perking up effect on my skin as their brilliant mask, the same subtle rose scent and an equally good cleansing action as the Perfect Cleanser. It takes off even waterproof make up and after a steam with my trusty MV Organic Muslin Cloth my skin look wonderfully glow-y and healthy. I know this has nothing to do with the effectiveness of the product but I absolutely love the pink gel colour of this range, something about it feels very right... I would recommend this for all skin types. I use this as my morning cleanse. I've been using it for a couple of months now and it has made a huge difference to my skin. I have a history of 'upset skin', and get regular hormonal breakouts which can be really tough to shift. The renewing action of this cleanser has put a stop to that! I've hardly had a breakout since I started using it, and those blemishes that have emerged have been smaller, less angry, and healed in a day or so. Thank you Oskia! The smell, the texture, it is all very interesting at first look. Then you try it and it actually works. Cleans the skin without leaving it dry. It is not a miracle worker but it does feel good on your skin. It is a bit pricey but worth it. I usually don't buy into product hype but I was curious as to what all the fuss was about with this cleanser. I bought it after Caroline Hirons recommended it as a good AM cleanse and I was looking for a new one to take me into the warmer weather. Figured it was worth a try. Annoyingly I am now completely taken with it for both AM and PM second cleanse and it is one of my favourite skincare products! I guess in this case the hype was right lol. I'm not as taken with the smell as others are but it is pleasant. What I love is how plumpcious, smooth and generally very lovely it leaves my skin feeling. Not stripping in the least on my dry skin and no exacerbation of breakouts or sensitive buts. I do find its very important not to skip the emulsifying step or its quite difficult to fully remove, but apart from that it's delightful. I'll put my hands up and say I was another totally enabled by Anna from VDM. I really wanted to love this... the texture is lush, the smell is divine and of course the colour is awesome, but I just find it a bit meh. I occasionally crack it out for a second cleanse when my skin doesn't feel too dirty, but I really don't feel like it does much. I have combination skin so should be perfect but sadly not a patch on my one true love Emma Hardie. I am SO disappointed with this product! Got it after VDMU recommended it, and I actually don't like it at all. I love balm / gel textures for cleansing, I love my Emma Hardie one, Ren does a good one too but this one is too thick so it doesn't spread easily, is not easy to remove and I don't feel that my skin is clean enough....Sorry! Amazing cleanser indeed! It combines the best of both worlds - a balm and a gel. It mimics a balm due to the oil it transfers itself to when massaged in. The warmth of your hands melts it down and it takes away all the dirt, grime and make-up. However, it has a lightness of a gel and it never feels heavy nor has it ever clogged my pores. It smells of a pared down Turkish delight and that is exactly what this is - delight for the senses! Was blown away by this, having used Liz Earle Cleanser for a good year (still lush though) and coming to this. The leap was like have a flip phone and then getting an iPhone. The texture and benefits are great, shame its on waiting list at the time of this review because I've run out! I love this cleanser; the consistency is smooth as silk, the fragrance is light and I’ve certainly noticed an improvement in the condition of my skin. Will continue to buy this product! I didn't think that this cleanser was going to be able to live up to my expectations having read the great reviews and heard recommendations from my friends. It absolutely did! I use it as a 2nd cleanse after removing my makeup and it leaves my skin feeling beautifully soft, hydrated and super clean. I have sensitive skin prone to eczema but this is incredibly gentle and doesn't leave my skin feeling irritated at all. Would definitely buy again and again! Really lovely cleanser. I look forward to using it as an evening second cleanse ( too nice to be taking makeup off). Once the gel is over your face keep massaging in as it disperses into an oil and the oil is a lovely quality the warmer the product becomes. Really lovely to use. I am trying lots of different cleansers and have just ordered the De Mamiel cleansing balm. This Oskia cleanser is definitely one I would re-purchase in the future. It's beautiful. I tried using it as a first cleanse, so I could then afterwards clean off the oily residue I was left with, but I’m still not a fan. I feel less clean after using it and makeup still shows up on my cotton pad when using a toner afterwards. Absolutely does not clean off mascara, which is a must for me in a cleanser. Not for me. Purchased this after hearing about it from a few bloggers (inc. The Hirons, obvs). I was skeptical at first because it was more fragranced than I was expecting (think: wild rose) and I was worried it would make me break out. However, after a few days, no break outs and brighter looking skin, I was hooked. It's been weeks now and I can say my skin is better for it. I use it as my first cleanse day and night (yes, I double cleanse twice daily.) It's perfect for both makeup removal and skin cleansing. One pump is enough for a skin cleanse, two pumps for makeup removal. Will definitely repurchase. This lightweight cleanser has helped clear and brighten my skin without stripping it. It keeps my skin hydrated and has a lovely scent to it, I definitely be purchasing another one! Very lightly scented with beautiful botanical type smell.. really lovely to apply and to remove! my face is squeaky clean after but doesn't feel like its had all the good stuff ripped away. Honestly, it's perfect! This is a lovely cleanser, smells gorgeous and has a really nice texture which leaves my skin feel smooth and clean. Will definitely be purchasing this again! Smells gorgeous, removes makeup like a dream, definitely going to repurchase it's my new favourite, I wouldn’t use in the morning it’s more of a heavy texture that I prefer at night but that’s just my personal preference. This cleanser is so beautiful in every way possible. I find myself cleansing even if I don’t need to. The texture is velvety, the smell is heavenly and my skin feels amazing each time. I was using this in the evening and elixir Vit C paste in the morning, but now that I’ve found this, it blows all other cleansers off my shelf. Yes yes it is absolutely gorgeous - needs double cleansing though if wearing mac foundation but I love it. While it may not be good as a night-time, remove all gunk cleanser, this a delightful morning cleanser. It's a pleasure to use, the rose smell is very relaxing, and the texture glides over the face. This leaves my combo/oily skin feeling very comfortable and not at all stripped. And it helps rebalance my skin if I've gone a bit too far with my anti-acne or anti-ageing treatments the night before. I'm usually fickle with cleansers and enjoy trying new ones, but with this one, I can see myself going back it to again and again. This is seriously the best cleanser I have tried in my life. I got the travel size to try it and now I can't live without it. It's magic in a bottle, leaves your skin bright, soft, clean, plump. Nothing else to say, just try it and you won't regret it!! So I didn't know this was a cult cleanser until after I brought it! Upon using it and falling head over heels I started to investigate it. I am a bit of a cleaner junkie and now have a myriad of products from creams, to gels and oils, to balms! This is a gel to oil consistency and I ADORE IT. It feels so good to use and I love that it encourages me to conduct a little facial massage whilst applying, as it feels so good and easy to slip on to the skin. It has active ingredients and therefore must be kept away from eyes (I learned this the hard way) but I just LOVE the way it makes my skin feel and look. Super soft to the touch! Mega clean and soon brightening. A must have staple now forever! This has gone straight into my all time favs! Leaves skin clean and soft. Plus, it smells fantastic! So, I wanted to do an updated review on this cleanser, because it's been one year and I'm still loving this cleanser! I rarely buy into hypes, but this cleanser is truly amazing. I have sensitive combination skin prone to breakouts (fml, right), but this cleanser really ticks off all the boxes for me. It's gentle, effective, moisturizing and slightly exfoliating, it's pink and smells like roses, I mean - how can anyone possibly think that this cleanser is overrated? I'm a product junkie who rarely stays faithful to brands or products, but both this cleanser and the Renaissance face mask are absolute must haves in my routine. They both give me healthy, plumped and glowing skin, which is basically everything a product junkie can ask for. The mask also lasts forever, so it's def worth the splurge. I love this cleanser. This is my favourite evening cleanser. Although it is a gel/oil hybrid, as it leaves my skin plump and nourished. I also use it in the mornings. I have oily and acne prone skin type and this product has improved my skin texture. Pros: brightening, lovely smell and texture, and it can be used as your first or second cleanser. It plumps and nourishes the skin, reduces inflammation of spots Cons: you can not see how much of the product is left in the bottle. I personally like this product as it does not clog my pores. A decent cleanser. I liked the texture and scent. But it ended up clogging my pores. I am now using it to remove (my light) makeup before a second cleanse. Otherwise, I end up getting blackheads on my chin and nose just after a few uses. I don't understand the hype over this product. Overpriced, irritating, can't be used in the eye area. First of all, the positives: great texture and scent. However, this irritated my skin and caused breakouts, which basically never happens to me - I have very tolerant skin. It's also an oily gel that emulsifies, which should be perfect for makeup removal/first cleanse, but it stings the eyes! Really disappointed in this product. Why did I only find you now? This is an amazing cleanser. The smell is a beautiful rose smell, the gel a lovely pop of pink, and the texture on the skin is phenomenal. I have been leaving it on for 5 or so minutes to let it do its thing and have been loving the glow it gives my skin. I've tried Tata Harper cleansers in rotation with this one and always find myself looking forward to the Oskia days! I was so excited for this cleanser, but not as much as I should have been. The texture is amazing - unlike any other cleanser I've used. It's nourishing and leaves my skin feeling clean, yet never greasy. I bought this together with the Tata Harper Purifying Cleanser and, hands down, I prefer this one. The rose scent is marvelous. I should have bought the supersize. -I'm 23 with combo/dehydrated skin- The packaging is excellent, the light pink colour of the cleanser is appealing, the scent of rose and chamomile is not too strong and very calming. This goes on first as a gel and as you rub it into your skin it melts into a light oil. I tend to massage it on my face for a little while before removing with warm water and a washcloth. You could also emulsify, (rinse off with water without the use of a cloth - this is a more refreshing option, in my opinion) I do this after a workout and when the water hits the oil it's like the oil turns into water and leaves no residue. All in all, this cleanser actually makes me want to wash my face because I love the spa-like experience of using it, not to mention how it leaves my skin feeling clean, but not stripped. This is a fantastic cleanser that not only cleanses the skin completely but also feels lush (gel to oil) and smells great. I have combination skin and I've found that my skin really likes the Oskia Renaissance Cleansing Gel. My only complaint is that I wish the pump were easier to use (it's a bit stiff but most likely because of the thickness of the gel) and that there was a clear line going down the bottle to see how much I've used. This is a perfect second cleanser as well as a morning cleanser. In the morning it really wakes my skin up (and me), and almost makes my skin glow. Just like Caroline Hirons, I wouldn't use this to take off my makeup, whilst it does a decent job of it, it's way too good a cleanser for that purpose. Recently I've tried different cleansers, milks and gels, and none of it compared to the feeling of coming back to Oskia. This cleanser feels great as it melts into the skin but for my sensitive, dry and oily complexion it's not deep cleansing enough for me and has caused some small break outs. I tried using it as a second cleanse but it doesn't work for me. Wanted to love it but don't. Nothing special. The texture doesn't suit my skin, highly overrated! Smells amazing - like an aromatherapy oil, beautiful. Melts on the skin; I loved the texture and the way it made my skin feel during the cleanse. However, felt like it broke me out and my blemishes weren't disappearing. Really tried to love this product after hearing so many great things, so continued to use for a month. Given up now and moved onto another and my skin has cleared up. In love with this cleanser; non drying, leaves my skin feeling soft and clean and the smell!! Aaaah-mazing ! Will repurchase. I'm either not using this product properly or it simply doesn't work for me. I just don't see what all the fuss is about. So the positives first. I love the gel-like texture. It smoothed on to my skin like a dream and I do love the smell. BUT it doesn't emulsify and it is pretty tricky to get it off properly using just warm water. Maybe I ought to try it with the muslin cloth. And because it doesn't come off properly I suspect it was the cause of a small breakout across my cheeks. I have used it only as a morning cleanse. I really wanted to love this product and buy into the rest of the range but sadly my skin just doesn't love it. 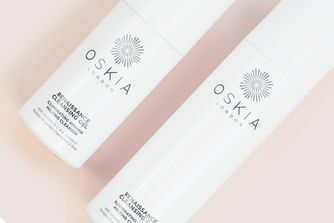 This cleanser has received somewhat of a reputation for being Oskia's star product, and I believe rightly so. It is a pink colour with an amazing scent. It is a gel texture that when applied melts with the warmth of your skin. It is a great product to use with great results. I thought it brightened my skin whilst improving its texture as well. I have since tried multiple different cleansers and nothing beats this one. This is a beautiful cleanser. It has a lovely scent which isn't too strong. The cleansing feeling is gorgeous as the gel rubs into an oil on the skin. Would highly recommend. It makes my skin feel bright, clean and moisturised. 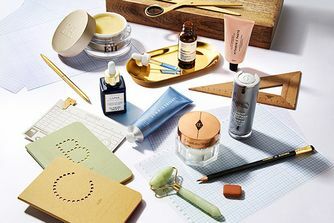 If there's anything worth spending a bit more on then it's skincare. I can imagine this is ideal for all skin types and ages. It's 5 stars from me! My favorite cleanser of all time. I combine it with a face massage and the results are amazing. My skin looked better than after a facial the next day and I have kept at it every night since. Really recommend it for an everyday skin treat. I love the texture, the smell and the way it cleanses my skin. I often leave the Renaissance Cleansing Gel on for a few minutes, as a mini mask, when I have time. I always make sure I have this, it's that good. For silky and glowing skin! I am so happy with this purchase, it came highly recommended but I was still a bit worried will it live up to the hype. But now I think I found my perfect cleanser for dry skin. It is gentle yet effective, it leaves the skin soft and moisturised and you can also give yourself a nice massage once the gel turns into oil. Incredible service, would buy again. I have had this cleanser for 3 days now, using it morning and night and my skin is so smooth. I love the smell and texture and I will definitely be buying more. I got this a few weeks ago after reading all the reviews on the website. I love the smell of the cleanser and the look of my skin after. It leaves my skin glowing and bright and not tight. After a few weeks of using this my skin has already cleared up and barely breaks out anymore. I am 19 and have always had quite troubled skin, suffering from severe acne when I was younger. Now I absolutely love my skin. I use this with the St Ives exfoliater (which I use 2/3 times a week) and my pix glow tonic//liquid gold. Followed by my night cream or daily moisturiser. This is my second bottle and I will continue to use it because it 'gives good cleanse' leaving my skin so smooth and glowy. It doesn't irritate my dry skin even though my skin is sensitive. But definitely keep away from the eyes. Cult beauty every time gives incredible service, I will continue to buy from your lovely website! I have to firstly say that this product seems to last for ages. I am on my second bottle and have been using this product twice a day since January. You only need 2-3 pumps at a time. It is reasonable for such a gentle and lovely smelling product that keeps my skin looking fab. Highly recommended. I find it more difficult to find a good gel cleanser versus a balm cleanser. 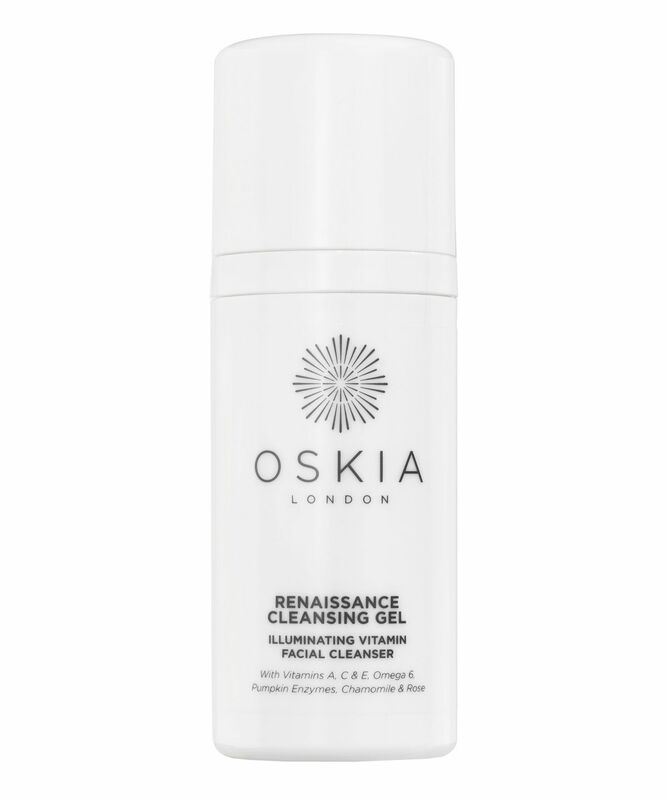 Oskia Renaissance is far and away the best gel cleanser I have tried. The texture is really nice and my skin doesn't feel tight or dry after cleansing. I massage it onto dry skin and remove with a wash cloth. I have oily/combo skin for reference. Its one of my favourite cleansing gels, as it smells like roses, it feels great on the skin and it has some outstanding ingredients. What annoys me though it that I'm always anxious whether its running out, as the bottle is not clear and you can't tell... believe me it's annoying. Please change it! I love this cleanser so much I have two backups to make sure I don't run out (it is annoying how you can't see how much is left in the tube). I absolutely love it, the scent is delicious, and it feels so beautiful on the skin. I use it as my second cleanse to make sure I get all of its benefits and my skin feels so smooth and fresh after. I have tried countless cleansers but this one is by far my favourite. Love this! A staple in my routine. Lovely cleansing gel, with a bit of an oily texture which feels quite luxurious without being heavy on the skin. I have very acne prone, dry and dehydrated skin. This really does remove makeup and all of the other stuff on my skin at the end of day. I massage this in my skin whilst cleansing and it does the trick. My skin is clearer when I use this stuff and has never caused a breakout. This is the best cleanser I have ever tried! It leaves my skin clean and smooth without over drying and it smells wonderful! It's my skincare essential for a year now! It felt much easier to apply than other oil or balm cleansers but this gave me little itcy bumps that I've never have. I believe it is the parfum, it smells strong both to my liking and obviously to my very sensitive skin. I did not feel my skin was particularly clean either. It's a no for me. I have acne-prone, combination, sensitive skin (yeah, how lucky I am). I struggled with redness and painful pimples for a long time.... until I found you - Renaissance cleansing gel. Only after a week of using it I could see huge difference in my skin! It is my first oil cleanser and I am truly amazed by it's texture and smell. I will definitely purchase this again. I bought this cleanser because of all the hype around it and it didn't disappoint. It works great on my skin which is a bit on a dry side, but I still get a few pimples from time to time. It feels lovely on my skin and when you wash it off or better, remove with warm cloth, skin feels silky too. It works good for removing make up, but I mostly use it as a skin cleanser. It lasts for ages too. I highly recommend it to all who want to spoil their skin! This is my favourite morning cleanser, it makes cleaning your face a joy. It dispenses as a balm but melts onto dry skin beautifully. My skin is super sensitive and this is one of the few balms I have tried which hasn't stripped my skin or broken me out, a true staple in my skincare routine! I love Oskia as a brand and this cleanser is no exception. The packaging is nice, the pump is good and it smells absolutely divine! That's all amazing, but more importantly it's so wonderful on the skin. It is the perfect texture and it leaves my skin clean and hydrated. I will always have a backup of this. This is the perfect cleanser as far as texture and ease of application go however I have to admit that I do hate the packaging because of the fact that you never know when it is going to run out... Apart from that, it does make the skin feel refreshed and clean afterwards without that horrible stripping feeling! In India this cleanser isn't available - so Cult Beauty was my savior to get this much raved cleanser on almost every blog. It just arrived in good time with neat packaging I use this as a AM cleanser and days where my skin is sensitive and it does really a great job of removing all the dirt and gives a slight glow without making it dry. I have used earlier Clinique cleansing balm and it does the same job too but Oskia adds a bit nourishing factor to your face and perfect for that muslin cloth cleansing routine. Love this as a summer cleanser - would be a bit drying for my skin in winter. The gel is really easy to smooth on (actually taking a time to massage in before rinsing made a huge difference to glowiness) and has a lovely texture; the scent is a bit sweet for me but is fine and doesn't linger. I didn't love this product at first - found it a bit meh - but have used it for a few weeks now and would definitely repurchase. This is definitely one of the best in the cleansing gel-oil category. I alternate between Oskia and the Su-man cleanser, neither disappoints. The product turns from gel into an oil on application, its easy to massage in and wash off. You can really see an immediate glow in the skin, not many products can do that. The Renaissance cleanser and mask are my favorite products from Oskia and it really is worth the price. Caved in and bought this after all the fab reviews from various beautybloggers and it did not dissapoint - loving it for morning and post gym cleanse. That extra step of massaging wet fingers over the cleanser to form a milk makes it feel extra indulgent. Skin feels clean, soft and moisturised afterwards. This one is a keeper despite the price! I have sensitive skin with Rosacea on and off. Oskia has been my saviour. The cleanser is so luxurious to use and the result? .....beautifully soft, calm skin. I ran out of it the other day and used another cleanser...you could see and feel the difference straight away. Needless to say I bought the Renaissance cleanser tout suite !! I heard a lot about this product. However, I did not like it. I don't feel clean after using it and I've ended up using another cleanser to clean my face after every use. Hands down my favourite cleanser right now, it smells amazing and the texture is so soothing and gentle on the skin. I bought this because Vivianna Does Make Up recommended it and I saw Caroline Hirons had it in her stash. I wasn't disappointed with this purchase. I have sensitive, combination oily/dry depending-on-the-weather/time-of-the-month skin and it gets rid of the claggy oily feeling, without leaving my skin tight, overly oily or dry. There is a slight residue, which hasn't proved a problem for me. I believe that incorporating this into my skin care regime has helped keep my skin clearer, and when I do get breakouts, has helped heal them. I am already on my second bottle and I tend to use it am and pm, massage it in and rub off with a muslin cloth/flannel. I don't use it for make-up remover, I like to use a cleansing balm for that. Wow, beautiful smelling product, a little similar to Emma Hardie & Elemis cleansers. I will definitely be buying this again, I have been using Liz Earle for quite sometime but think this is perfect for winter to keep my skin smooth & soft. I love this! I want to say this is the perfect autumn cleanser – but is there really such a thing? With the weather cooling off, I’m back to favouring balms, and when warmed in the palms this melts into an oily texture that feels pretty special when massaged into my chops every morning. Muslined off it leaves a bit of residue behind, but not anything gross-feeling, more like a glow that says ‘I went to bed at 7pm’ – lies. All the superficial stuff is there but the science stuff is right-on too: pumpkin enzymes to mildly exfoliate, Vitamin C and E to restore and Starflower Oil to soothe. It can be used AM and PM and to remove makeup, but I prefer to whip it out the morning. It’s pretty pricey but the bottle’s a bit of a whooper so I reckon it will take a fair few months to pump my way through this.